The SABC has placed newspaper advertisements for a new CEO, making a U-turn just five months after the public broadcaster declared it would no longer advertise jobs externally. The advertisement for the executive position appeared in newspapers on Sunday. The SABC is looking to replace Frans Matlala, who was recently dismissed with a golden handshake worth millions of rand following his abrupt suspension in November 2015 after just four months in the job. Matlala was allegedly axed because he helped national treasury with an investigation into controversial SABC executive Hlaudi Motsoeneng’s procurement of a multimillion-rand studio that was constructed without having been put out to tender. In the SABC’s latest financial report for 2015/2016, which was released on Thursday, the SABC only notes that Matlala was suspended, but does not provide a reason why. The SABC has now had 11 CEOs since 2009. This included those who were appointed in an acting capacity, with current CEO James Aguma being the latest. 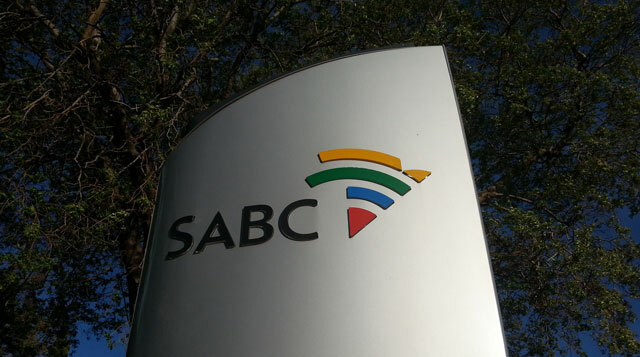 In April, Aguma, Motsoeneng and SABC spokesman Kaizer Kganyago announced that the SABC was ending the practice of advertising SABC jobs externally in newspapers. They said the SABC had taken a decision to end external advertising for jobs and tenders in any print and other media, and would only be using its own TV channels and radio stations. The broadcaster would also no longer use the services of external media agencies, they said. “The SABC decided that it will advertise its employment vacancies and tender advertisements on the SABC’s television, radio and digital platforms only. This will be implemented with immediate effect,” said Motsoeneng in April. Kganyago didn’t respond to an enquiry about why the SABC had resumed advertising employment vacancies in national newspapers. The CEO ad has a closing date of 14 October for applications. Motsoeneng, who was found by the public protector in February 2014 to have lied about having a matric certificate and who made up symbols for a certificate he didn’t have, will not be able to apply. The SABC was looking for candidates with postgraduate qualifications, preferably an MBA or MSc, and who have “sound knowledge of the media industry”. At least 10 years of senior management experience was required as well as “best-in-practice corporate governance”. Sounds awfully like our Hlaudi will be spending a whole lot more time with his lawyers…at his own expense this time though.